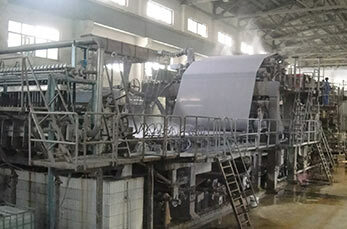 By using Leizhan art-of-the-art living paper machinery, living paper like copper printing paper, toilet paper, tissue paper, napkin paper, facial paper, kitchen towel paper can be produced . To produce copper printing paper, Paper manufacturer can choose commercial wood pulp, white shavings, rice straw, wheat straw and bagasse as raw materials. Leizhan supply the whole copper printing paper making line for waste paper recycling system. It contains two parts: copper printing paper pulp making system and copper printing paper production machinery. Leizhan advanced copper printing paper making machinery contains the following parts: headbox–single fourdrinier wire–Vacuum move roll–main press part–dryer cylinder–sizing machine–calendar–reeling machine.